I am an ex BBC Graphic Designer turned designer/builder with a flair for architecture and a real passion for all things design - inside and out. I have remodelled and hugely extended my own home. My first commercial commission earned me a Highly Commended recognition in the Building Excellence Awards 2016. I help clients formulate a brief, draw up the plans, provide comprehensive sourcing and budget guidance and collaborative interior and exterior design consultation. In addition, I offer full architectural plans, with all the form filling and leg work such as commissioning of structural calculations and building regulations. Oh, and we build most things too! 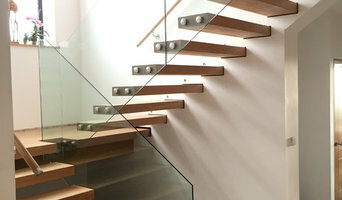 We have a sister company specialising in stairs and balconies - see www.balconiesandstairs.co.uk We are approved partners with Balcony systems so can design, supply and fit top quality glass and aluminium balustrades, juliets and stairs - perfect for those lucky enough to have a view! Saltford Building Services are specialists in providing your complete building and property development services. Our team of highly skilled professionals deliver your project to the highest quality and finish standards. Always proud of what we do, we offer a complete service from design effortlessly through to build completion. Unsurprisingly, based in Saltford and serving the Bristol and Bath areas. We assign a dedicated Project Manager to your programme to ensure continuity and regular contact, maintaining a friendly and professional service. You will have complete peace of mind knowing that we are always on hand to offer any advice and support you may need during the completion of your project. We liaise with the local building control officer to ensure all necessary regulations are met. 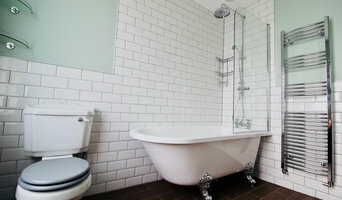 Whatever you’re planning; renovation, extension, kitchen or bathroom; let us make your property dreams a reality. Whitecroft Developments Ltd aims to provide new homes and newly converted properties which still evoke the emotion of character or listed properties. Attention to detail in design allows the replication or re interpretation of local original features, a response to the local building vernacular which reinforces a new development's identity, and justifies its place in an existing environment. Ultimately, each development should add to the space in which it sits and be worthy of its location. Whitecroft Developments Ltd has also successfully completed contemporary builds with the same enthusiasm, St Cuthberts Drive in Brislington, Bristol was in stark contrast to the converted listed buildings and existing Victorian Architecture experienced in previous projects. However, St Cuthberts Drive, demonstrates that diligence, pride in work and attention to detail, regardless of build style will always deliver good finished results. Whitecroft Developments Ltd now moves into the bracket of a medium sized developer as it embarks on an exciting project in West Harptree in the Chew Valley in Bristol. This project will see Whitecroft Developments Ltd fulfil its aim of delivering new builds, worthy of their location, capable of evoking the emotion often only associated with existing character buildings. We’re leaders in the reclaimed Bath stone market, using the best in innovative stone cutting techniques we produce natural stone cladding to brighten your home or workplace. We specialise in creating Wine Vaults & Cellars. As a designer, I believe that design is about solving problems, with knowledge it can be applied to most situations. The ability to be able to visualise and have a practical knowledge base and also able to be ‘hands on', allows for problems to be designed out, creating an individually tailored concept. We aim to use our passion to create bespoke and bold interior spaces, that are tailoured to suit the personal style preferences of each individual. 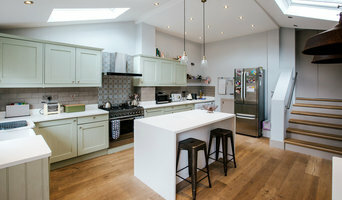 Family Run Design Firm Specialising in Restoration Architecture in South West England Concept 360 is a full service construction company who manage the full spectrum of building work on projects large and small. From concept to design and supplying all materials to project management through to completion, Concept 360 take the hassle out of building work. Our portfolio includes a large range of challenging, interesting and above all exciting projects. This has enabled us to build strong relations and maintain our reputation as one of Bath’s leading family run businesses, consisting of Father, Son and Daughter at the heart of the business. Specialists in modern construction solutions, Concept 360 pride themselves on this forefront expertise, which is backed by an impressive portfolio of modern-built properties, using state-of-the-art renewable energy solutions and future-proofed designs. We take inspiration from the initial concept creating innovative construction design considering all aspects of our clients needs, delivering the perfect balance of form and function. 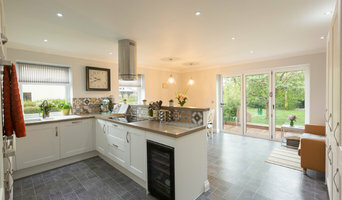 Having built up a reputation over the past ten years for competitively priced high quality carpentry and joinery work, we are now offering the same high quality standard and competitive prices to renovation jobs. We aim to exceed the customer’s expectations in quality and price. Attention to detail is paramount in our minds for all our work. We obsess over the smallest detail, including those you may never see. Word of mouth referrals is what we rely on; and being a local company we simply cannot afford to do a bad job.